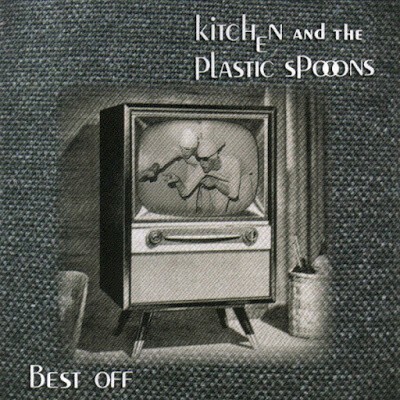 Kitchen & The Plastic Spoons formed at a basement rehearsal studio in Stockholm, Sweden during the spring of 1980. The band consisted of Anne Taivan (vocals), Helena Lönnqvist (synthesizer), Iggo Karlsson (synthesizer), Jackie Pazda (bass), and Mats Wigerdal (drums). After a few concerts, Kitchen booked some free studio time and recorded their first single “Serve You!” in two days. Six months later Patrik Lindvall (guitar) joined the group and the band recorded their second single “Ice Cream To God” in early 1981. Kitchen’s sound was getting darker and heavier and so was the mood in the band. Anne shortly left and was replaced by Iodine Jupiter on vocals. This new line up recorded a few songs for local compilations. The band broke up in November 1981 before recording their debut album. “Screams To God” collects Kitchen & The Plastic Spoons two EPs, two compilation tracks as well as three demos from 1980 never before released on vinyl. Kitchen were part of the new DIY generation starting bands, making self- produced singles and rapidly breaking up. Their sound echoes the speedy chaotic energy with the synthesizer as its driving pulse. Anne’s vocals are barely understandable but they have a sense of urgency. They didn’t’ sound like any other band in Sweden at the time, having more in common with American bands, Devo, The Screamers and Pere Ubu. The band reformed in 2008 and played the Drop Dead Festival, October 8-12 2008 in Lisbon, Portugal. They plan to perform occasionally at Synth and Goth-oriented venues and festivals.